Hey everyone, its me, High Teck. I'm back with a new name, and some new art! I've been gone a while due to personal issues. but I'm not gonna get into that right now. First off I wanna say that I've improved greatly! I am now doing Vector work now and I've become quite good with it. Anyways lets start things off with a couple of FiM Show Ponies shall we? Sadly I only have two. but I'll work on making more don't you worry. here is the first one. 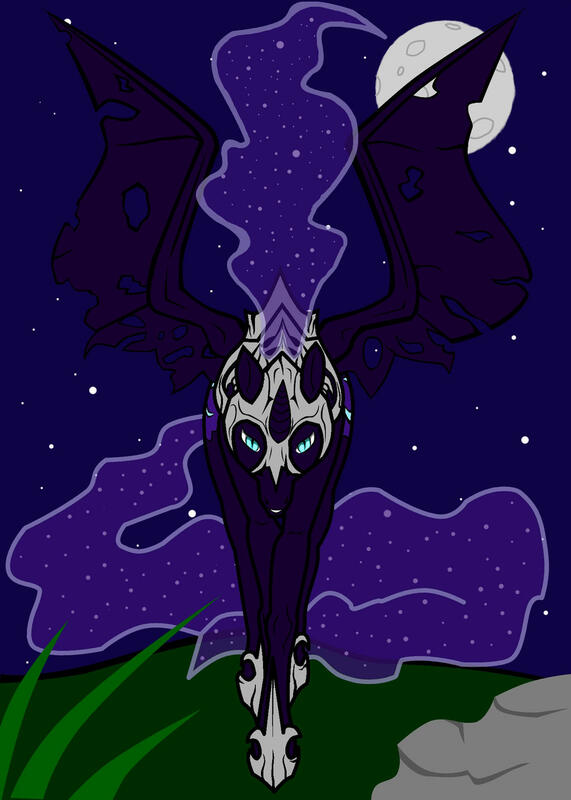 Nightmare Moon in a darker more demonic style. This was one of my early pics so be kind. Now about our favorite Lavender Unicorn? 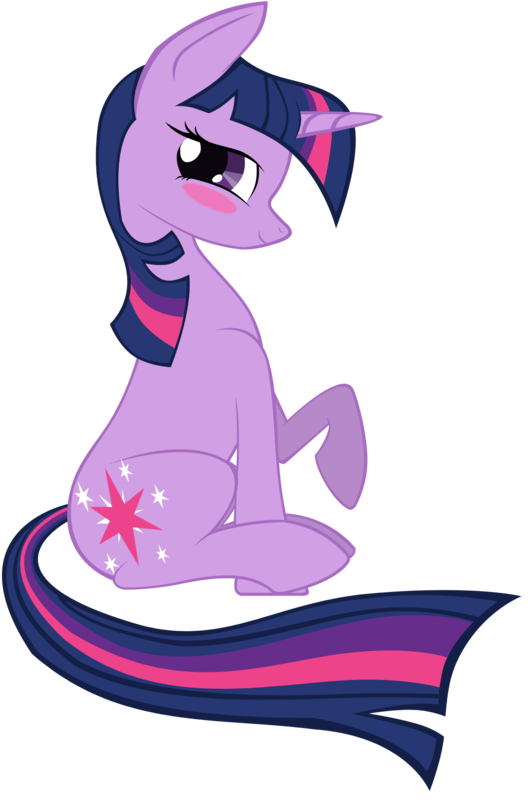 Have some cute Blushing Twilight Sparkle! Now for some Original Ponies! thinking more about my Ponysona, I decided to go with being a Unicorn. 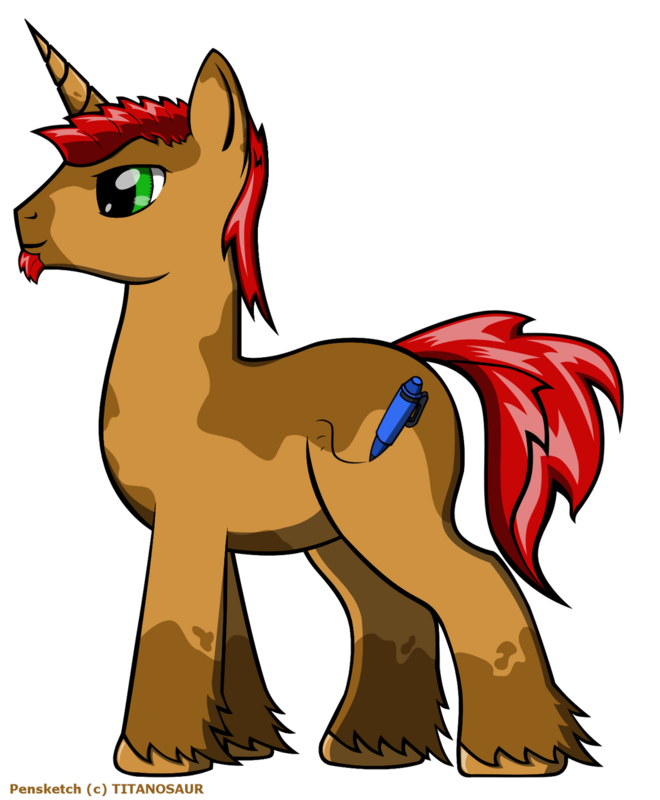 so I created my New Ponysona! Isn't he cute!? I worked real hard on his design. and I wanted a chocolate milk color for him. Lemme know what you think! This next pony is a character I made up that is a crossover from an R Rated movie, Species (1993). She is a Pony/Alien Hybrid, don't worry. she's sweet as can be. she's also a bit of a gamer, Comic book, and Movie Nerdette. Isn't she cute!? But wait theres more. she ofcourse has her Alien form that is inspired by the Original Sil Alien that H.R. Giger made! Here is her Alien form! Isn't she beautiful!? well at least in terms of design. I worked hard in keeping with Giger's style while mixing the style of the show as well as my own into the design. That's it so far. I'll post more when I make more.